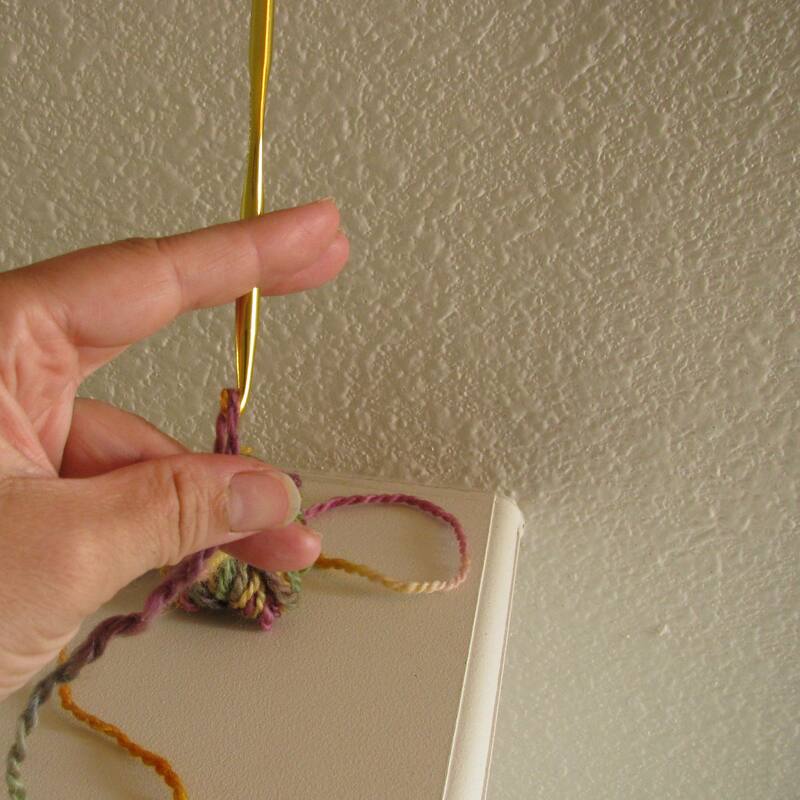 Most skeins of yarn have both a suggested knitting needle and crochet hook size on their label. Sometimes there is only a needle size given, and crochet hooks are left out in the cold. What is a crochet girl (or dude) to do? #1 Scream “Crocheting ROCKS!” at the top of your lungs. While this might make you feel better, it won’t really accomplish anything. 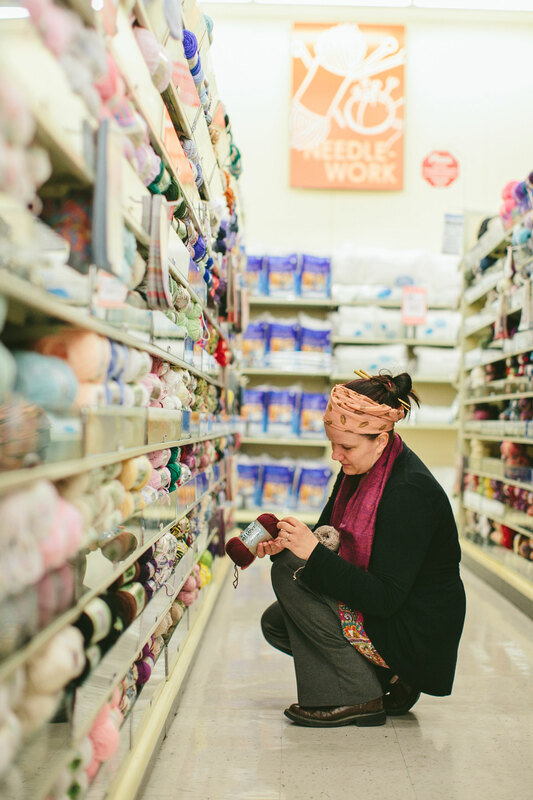 Unless, of course, your goal is for everyone in the shop to know that crocheting does, indeed, rock. Well then – mission accomplished my friend. #2 Visit ObeyCrochet.com for some crochet-only therapy. Seriously, we live in a knitting-biased world. I mean, I love my knitting friends and I want them to pass on their craft to the next generation… but crocheting gets stuck on the back burner with the Granny Squares. It can rock the red carpet like knitting can. If you are a “crochet only” girl (or dude) or a knitter with a sense of humor, Obey Crochet will make you laugh. 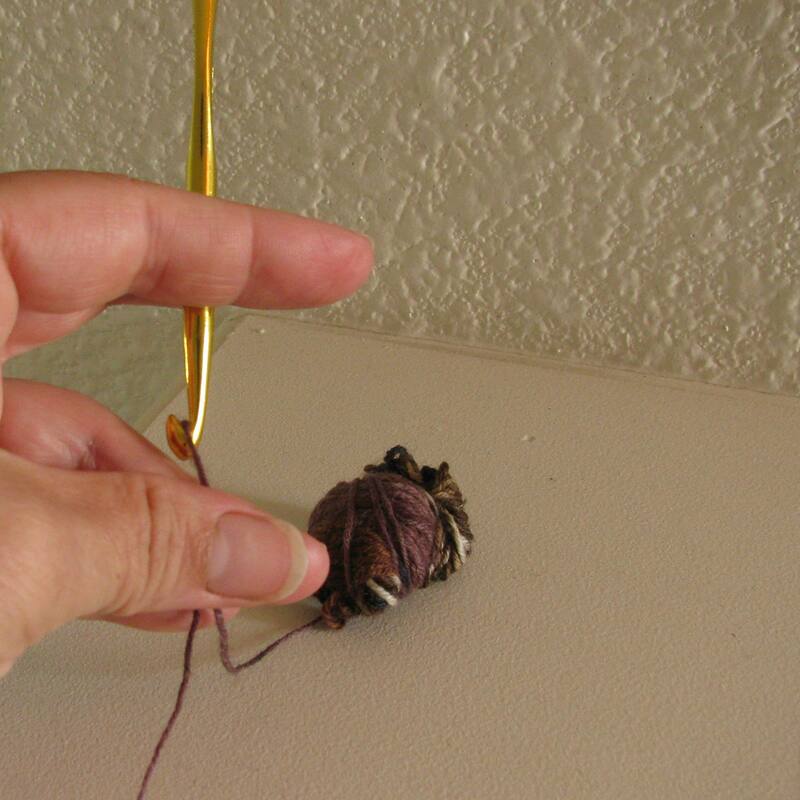 #3 A practical option: place yarn inside the hook. This is really helpful. The yarn should fill the hook space perfectly. If it bulges outside the hook, your project will not have a lot of drape. In fact, it might be stiff as a board. If it barely fills the hook, your project will have a lot of drape. In fact, it might even be downright saggy. Neither are necessarily bad; it completely depends on your project and what you want the finished outcome to be! #4 Another practical option: crochet a small swatch to test gauge and drape. 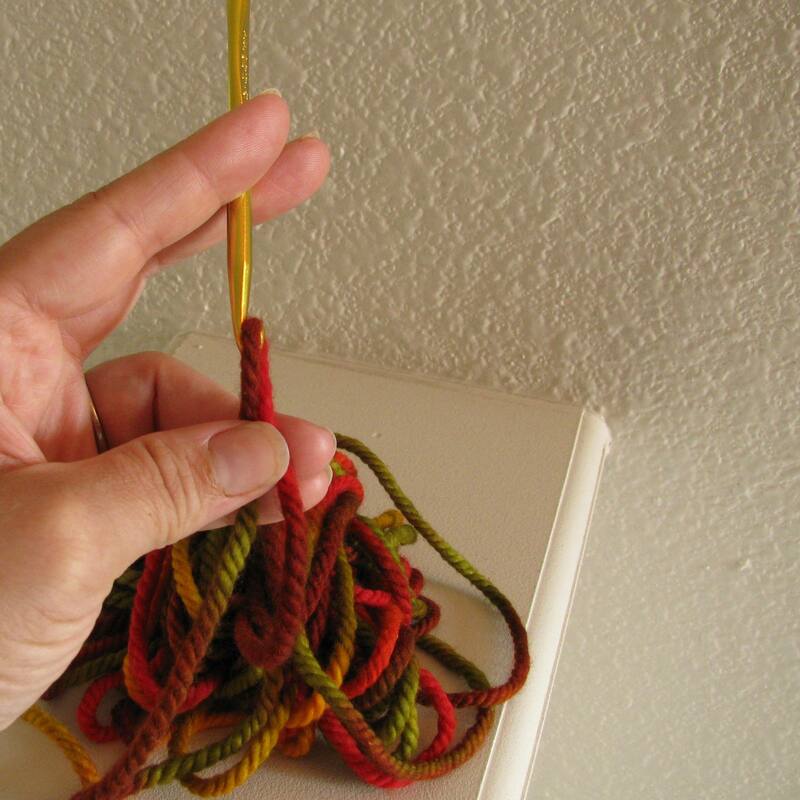 This is a sure-fire way of knowing how your hook will work together with the yarn. It isn’t always an option if the shop owner isn’t keen on you using some yarn before you decide to purchase. Be well, readers. Crochet often. Create always.